Israel Adesanya engaged in a highly-entertaining main event fight against former Ultimate Fighting Championship (UFC) Middleweight champion Anderson Silva, going a full 15 minutes in what proved to be a “Fight of the Night” bonus winner at UFC 234 in Melbourne, Australia. 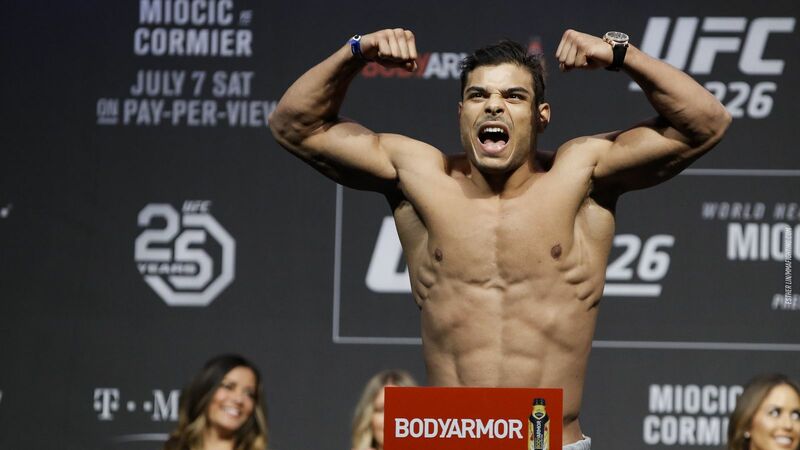 While many were impressed with the fight, one man wasn’t too thrilled with what he saw from “The Last Stylebender,” as Paulo Costa took to Twitter to slam Israel for what he feels was a lackluster performance. The two men have engaged in a bit of back-and-forth over social media in the past, but their paths have to to cross. Costa — another rising and undefeated prospect (12-0, 4-0 UFC) — has firmly cemented his place as legit threat in the division, ending every single one of his opponents via submission or knockout, including starting his combat career with nine first-round wins. Among two of his biggest win during that span came against Johnny Hendricks and Uriah Hall, ending both of those longtime veterans via technical knockout in the second round, keeping “Borrachinha’s” streak of never seeing a third round alive. While a fight between two undefeated combatants would be a treat for fans, Adesanya has bigger fish to fry at the moment as he is lined up for his first-ever shot at a world title against either Kelvin Gastelum or Robert Whittaker. Costa, meanwhile, is scheduled to face off against former two-time Middleweight title contender Yoel Romero at the upcoming UFC on ESPN 3 event on April 27 in Miami, Florida. That said, if Paulo can get through “Soldier of God,” he could make a case for a championship fight soon thereafter, as well. Care to break down a potential collision between Costa and Adesanya?